AWS Lambda has been launched with the new features for Mobile Developers. The service was launched last year with the preview version at AWS re:Invent. We have given the detailed description about AWS LAMBDA in our previous blogs : An Introduction To AWS Lambda and AWS Lambda walk-through. It is a compute service that makes it easy for you to build applications that respond quickly to new information. You can easily create discrete, event-driven applications that execute only when needed and scale automatically from a few requests per day to thousands per second. Now we will introduce some important features for the Mobile Developers. Using Lambda, you can instantly add a scalable backend to your mobile app. The developers can create scalable server-side components (the mobile backend) without having to think about compute, storage, load balancing and worrying about hosting or scaling backend code. You can synchronously invoke the AWS Lambda Function using available Mobile SDKs. The AWS Mobile SDK can be used as an event source in order to run your Lambda code in response to events that occur on the mobile device. 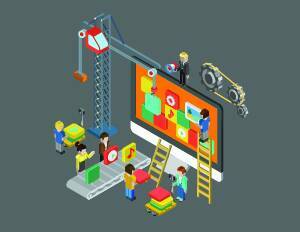 The developers will soon be able to write their code in Java. 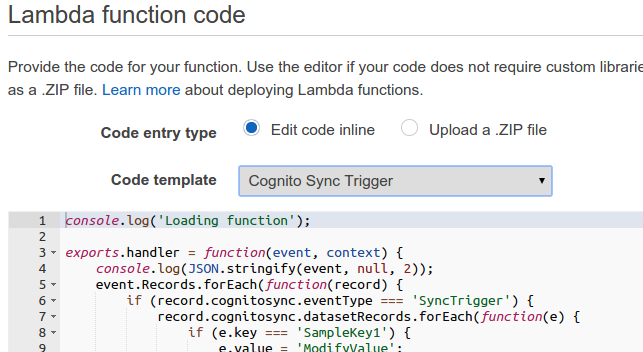 New Triggers :- Amazon has announced new triggers by which you can invoke your lambda function. 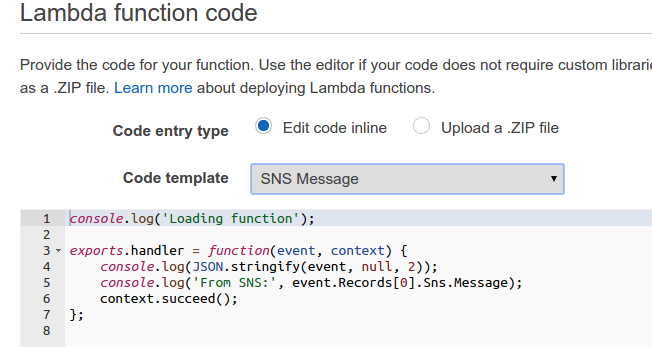 You can now use AWS SNS(Simple Notification Service) to invoke the lambda function. AWS SDK (Android and IOS) can also be used to invoke these functions. Amazon Cognito is a service that makes it easy to save user data, such as app preferences or game state, in the AWS Cloud without writing any backend code or managing any infrastructure. Cross-Account Access to Resources :- This is one of the most important fature which has been announced. Now users can invoke Lambda functions of an AWS account from other AWS accounts. There is no need to copy data from one region to another. Enhanced Console :- You can now use AWS console to add or edit AWS Kinesis Streams. Attach Multiple Functions :- Multiple functions can now be attached with Amazon Kinesis Streams. These are the new features which have been introduced by Amazon. A large number of usecases will be solved making use of the combination of these new features. We will soon be posting some usecases in our next blogs.